The North Kansas City Health & Community Activity Center was designed to offer total fitness and recreational facilities to the city’s residents as well as to the people who work in and around downtown Kansas City. This facility houses a fitness center, three-court gymnasium, and a climbing wall. 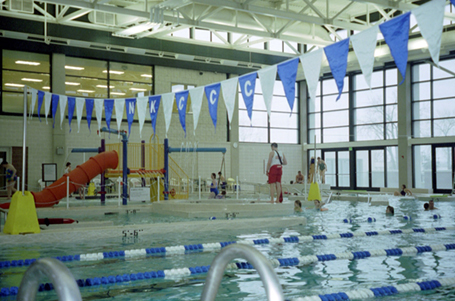 The natatorium includes a leisure pool with four-lap lanes, a current channel, vortex, bubble couch, play features, slide, and a spa. This facility was featured as an Architectural Showcase in Athletic Business Magazine in June 2001.